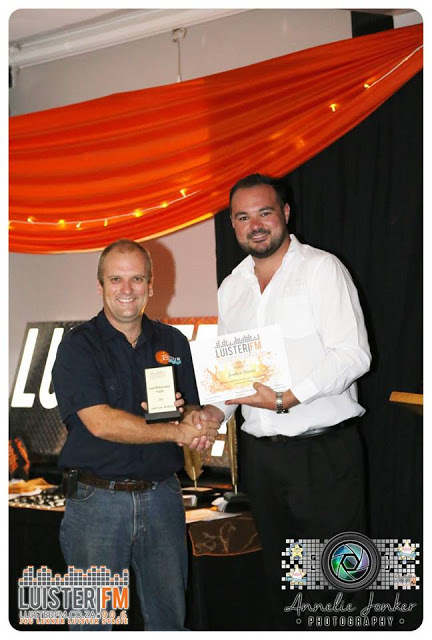 At the first Luister FM 90.6 awards evening last night my Wyd & Syd travel slot on a Friday between 12:00 and 1pm was announced as the best program insert on the station for the year. What an absolute honor and privilege it was to receive the award. I’m really proud to be part of the Luister FM team in some way and hope that the slot will continue to inspire people to travel and explore around Port Elizabeth and the rest of the Eastern Cape.